Well dear readers, remember this? As regular readers will know, I am a massive fan of Iryna Akimova, who I continue to support as being one of the most (if not the most) clued up people to sit in a Ukrainian seat of power in the past decade (or longer). So what of the less than transparent entities mentioned in my linked blog post? Well quite obviously any undue influence on grain quotas will no longer exist….however agriculture is a big sector and it would be an incredible waste of such an opaque and tangled web not to use it somehow. Let us see what entity will be used to form and control any land registry and let us watch who and what entity will control agricultural land sales as and when (possibly 2012 I hear) the moratorium of agricultural land sales if lifted. Do not be surprised if the companies in the above link feature in that chain. Am I getting cynical……or have I just fully adjusted to Ukrainian life? What time frame do you put on Ukraine getting entry to the EU? On the assumption the EU still exists in 2050, it is a reasonable bet that Ukraine will manage to be an EU Member State by then. Admittedly it still has a long way to go and the average accession time seems to be between 15 and 20 years from actual membership request. Ukraine is yet to formally ask to join the EU, although all major political parties have expressed this as the eventual aim. You would expect in 39 years Ukraine will have managed it unless the political winds change drastically in that time or the EU takes on a different form that Ukraine would not wish to join. The publication of the EU White Paper on transport strategies is therefore fairly relevant to Ukraine as it sets the general direction of EU transport policy. Any EU membership is of course going to be far quicker and smoother if Ukrainian policies are generally pointing the same way. Much of it is common sense and hardly controversial except perhaps the duly highlighted item 1 on the 10 part plan (below) relating to urban living, in particular, your own personal car. (1) Halve the use of ‘conventionally-fuelled’ cars in urban transport by 2030; phase them out in cities by 2050; achieve essentially CO2-free city logistics in major urban centres by 2030. (7) Deployment of the modernised air traffic management infrastructure (SESAR) in Europe by 2020 and completion of the European Common Aviation Area. Deployment of equivalent land and waterborne transport management systems (ERTMS, ITS, SSN and LRIT, RIS). Deployment of the European Global Navigation Satellite System (Galileo). Of the entire plan, despite the costs to implement being 5% of GDP per nation (twice that of the more aggressive EU nations annual defence budgets) by far the most controversial and difficult to implement is halving the amount of conventional fueled cars by 2030 and completely removing them from city centres by 2050. Now many a town planner and civil engineer have spent many an hour trying to ease city centre congestion and reduce the pollution that causes damage to historical architectural wonders that exist within every city…..at least in European cities and that certainly exist in the Ukrainian major cities. We have tried congestion charges to keep unnecessary vehicles from the city centres, but those charges quickly became seen as a tax and also were absorbed into corporate expenses and remuneration packages. Politically of course, to charge those people who live in the city and own a car the congestion charge is an unelectable proposition for a politician – so they have been traditionally exempted the charge. We have tried “park and ride” where thousands of cars are parked on the extremities to cities and buses take the commuter the rest of the way. Unfortunately the cost of all day parking plus the cost of the bus transportation and demands on buses a peak times to and from park and ride areas can make it almost as costly and more untimely than simply paying a congestion charge. Tram systems, metros/undergrounds cost literally tens of millions to construct and take years. In the case of a metro/underground, it costs hundreds millions to tunnel and construct each and every additional stop, notwithstanding if it is a project openly tendered, the actual tender bid can cost a few million to put together, a cost any tender winner will want to recoup amongst the costs and necessary profits related to taking on any project. I once was involved in a PFI project for the Leeds Supertram, a project to alleviate inner city congestion, as had been carried out in Manchester, Nottingham and Sheffield in previous years. The cost to tender the bid was in excess of £2 million and then the project was scrapped by the government…..I won’t even bother stating the actual construction costs should it have gone ahead. None of this takes into consideration years of additional traffic chaos as the alternative transport facilities are actually built causing road closers, diversions along streets that were never designed for the traffic they now accommodate whilst tram track is actually laid or major excavations for a new metro stop take place. Neither does it take into account the additional and almost industrial amount of pollution and conventional energy use created when carrying out the work. When completed these new transport systems have a pollution and energy legacy that can take some considerable years of usage to negate, before there is a net environmental benefit. These are not economic, political and environmental excuses to do nothing, but they are considerations when going down this route which many people forget (particularly the energy and pollution legacy). None of this addresses the most controversial aspect of the EU plan however. 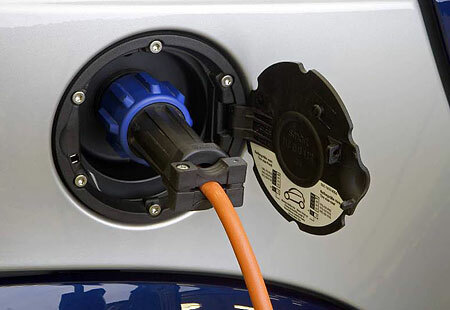 How to get city centre drivers/vehicle owners out of conventionally fueled cars? There seems to be only one choice. Stop manufacturing conventionally fueled cars. As Henry Ford once said, “They can have any colour they like, as long as its black.” Well maybe it is time to tell car manufactures “You can make any car you like, as long as it is not conventionally fueled”. So are bio-fuels the way forward? Apparently not according to Friends of he Earth. By the time we get to 2050, no doubt the cost of oil based fuels will be a very rich mans preserve anyway…..so maybe most of us will have no other economic choice but to go “electric”. In case you are wondering, the UK told the EU Commission to “sit and swivel” over the conventionally fueled car issue in city centres the day this EU proposal was published……then you can say that when you are the second biggest financial sponsor of the organisation. That’s probably not a position Ukraine will be in by 2050. As the world looks on at the tragedy still unfolding in Japan, world leaders are of course discussing nuclear power and nuclear power safety. Nuclear power may well be another nail in the coffin of Ms Merkle, EPP ally of Ms Tymoshenko – time will tell. However, here is an interesting statement from Ms Tymoshenko on the subject of nuclear power. ”Following the events in Japan, all countries with nuclear power plants are reviewing their safety policies at these plants,” Tymoshenko said today during an interview on 5 Kanal. According to her, nuclear safety was discussed during the summits of the leaders of the European Union and European People’s Party. ”At the summit of leaders of European countries, as well as the summit of the European People’s Party which I attended, they discussed creating a special EU working group that will deal with regulations and procedures to increase safety at nuclear power plants,” she said. Tymoshenko also suggested to European leaders that they include Ukraine in this working group. ”50% of our electricity comes from nuclear power plants and Ukraine should be an integral part of these new processes, rules and regulations that will be developed so that our nuclear power plants follow them too. I think this is important and the leaders of Europe reacted favorably to this,” she said. She is of course quite right that a standardised approach to nuclear safety is no bad thing. Quite how standardised safety protocols will stop earthquakes, tsunamis or any other acts of god having devastating effects that will cause a a core breach or crack in any containment remains to be seen. It is not as though the EU nations do not already monitor the civil nuclear production facilities in Ukraine. As I have blogged before, just as Ms Tymoshenko was removed as Prime Minister, certain EU bodies were already raising concerns over Ukrainian nuclear power production and the deals done when Ukraine was run by the Yushenko/Tymoshenko administration. As a civil engineer and also Radiation Protection Supervisor (RPS) trained (by RWE Nukem) I do of course have a passing interest in all things nuclear, particularly civil energy having been involved in the decommissioning of Trawsfynydd, worked at Sellafield and been contracted to work at Aldermaston for a while. I understand that the European Nuclear Safety Regulatory Group (Ensreg) are going to draw up some form of “stress test”. The question is against what? A force 8 or 9 earthquake as per Japan? Short of constructing a far thicker and stronger containment area and having backup cooling contingencies to back up the backup cooling contingencies or taking all existing nuclear power plants off line with immediate effect, what other options are there for the existing nuclear energy producing stations? I doubt that there will be many existing nuclear energy producers who will have a containment that can categorically withstand an earthquake that managed to move the entire nation of Japan 4 meters on a GPS location grid. As any RPA or RPS will assert, the containment material and quantity used is based upon calculations to contain any leak rather than withstand a level 8 earthquake if it is not situated in a seismic region. This is not lost on all leaders fortunately as the Latvian President points out. It will make the Chernobyl Commemoration being attended by numerous EU leaders in Kyiv quite an interesting affair next month…..particularly as Ukraine’s 2030 energy strategy is based upon a plan that prolongs the life-span of 12 reactors from 30 to 45 years and building 20 new ones. At long last, the National Electricity Regulatory Commission of Ukraine has licensed the very first wind farm that can contribute to the national grid. 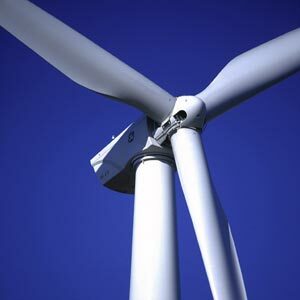 LLC Wind Park Novoazovsk will be producing 107.5 MW of electricity by the end 2012 via 43 2.5 MW wind turbines. ……..Oh come on……It’s a start! Due to the more media headline catching issues, the signing of the next UN/Ukraine framework agreement on Thursday has managed to escape many peoples eye. The current President’s regard for the UN should not be underestimated. Whilst many people deride the UN, the Ukrainian President does genuinely hold it in high regard (I am reliably informed). It will be interesting to see just how far Ukraine progresses along the 4 key areas of sustainable economic growth and poverty reduction, social development, governance and management, environment and climate change. The new agreement sets a common commitment to supporting the reform process, achieving international standards, European integration, Millennium Development Goals, as well as implementing the terms of international human rights norms by Ukraine. Now if there is any form of realistic and even a half-hearted effort aimed at achieving these things by Ukraine, this agreement will be worth the paper it is written on, as in some areas even a half-hearted effort will make a noticeable difference to what exists now. Something to monitor over the next 5 years…..and some of it will be easier to monitor than others. Well having had the restriction on her travel waved for Tymoshenko to attend the EPP Summit, aside from picking up a few things at Duty Free, a few free lunches/dinners and two nights in Brussels, how well did it go for Ms Tymoshenko and how badly did it go for the current authorities? Did she get her EPP association party membership fees worth from the Summit? We should start with the statement made by EPP President Wilfried Martens. “Unfortunately, Ukraine is marching backward from the important goals of democratization, Europeanization and modernization. If this continues, this direction is running a risk to become totally incompatible with the declared intention to move closer to the European Union within the framework of the association agreement,” he said. “The EPP calls on [Ukrainian] President [Viktor] Yanukovych and the Ukrainian authorities to remedy the situation and to guarantee an inclusiveness and openness of political space in Ukraine,” he said. In this connection, Martens said that the issue concerned the period of preparation for the next parliamentary elections that are to be held in Ukraine in 2012. He expressed hope that these elections would meet the aspirations of the Ukrainian people with respect to active and effective democratic governance. “Against this background, the EPP urges President Yanukovych to avoid temptation to change the law on parliamentary elections in a non-transparent way to benefit his own political party and his political calculations,” Martens said. “The EPP stands with Ukraine’s democracy,” he said. All very partisan and pro the EPP associated member and citing the same concerns that they repeatedly cite when Ms Tymoshenko needs some external support. That is not to say they are wrong, but it is nothing new and thus far for all their bluster it has altered nothing either. The two main problems with this speech are firstly, as I have said it is the same as the last time they made a statement on behalf of Tymoshenko and secondly (and most importantly) there are very few people in Ukraine who know who Wilfried Martens is. Whilst decorum dictates that Mr Martens as EPP President should have given this speech, the impact in Ukraine will be zero. If one of the more known names of the EPP, Ms Merkle or Mr Sarkozy had made this statement then the impact would have been much greater with the Ukrainian public. Instead of just someone from Europe saying this, it would have been a someone from Europe saying it. It is all about impact and public recognition. It is why charities have pop-stars as figureheads. Moving onto Stephan Fuele and his official statement, there seems to be little comfort in there for Ms Tymoshenko. “Today I met with Mrs Yulia Tymoshenko in Brussels. It was the second time we met this year. Strong relations with Ukraine require continuous contacts with all main political forces. We agreed that the process of shaping reforms for Ukraine’s rapprochement with the EU needs the engagement of the opposition. As leader of the opposition, Mrs Tymoshenko stressed she would play a constructive role in this regard in particular on the election code, which we discussed at length. Inclusiveness and maximum transparency in the reforms of the constitution, the election code and the judiciary are essential. As regards EU-Ukraine relations, we reiterated the determination to pursue positive results which are in the interest of all Ukrainians. As already indicated in Kiev earlier this year, I hope to conclude negotiations on the Association Agreement and the Deep and Comprehensive Free Trade Area in the course of this year. I informed Mrs Tymoshenko of the recent progress in this regard. The first months of 2011 have born some additional fruit with the recent signature of the Memorandum of Understanding on the National Indicative Programme for Ukraine of 470 millions € for the next three years. Whilst she may take some comfort from the last paragraph, it can also be seen as a polite warning for her to stop using it as a political tool herself. The rest generally seem upbeat about how well things are progressing between the current government and the EU. What did Herman Van Rumpoy have to say? Not much comfort for her here either. He supported the readiness of Tymoshenko as the leader of the largest opposition party in Ukraine to develop constructive cooperation with European institutions for the sake of successfully completing the negotiation process and signing the EU-Ukraine Association Agreement in 2011. Van Rompuy thanked Tymoshenko for her efforts in the sphere of European integration and expressed confidence that cooperation would continue, in particular, during a meeting between Tymoshenko and European Commission President Jose Manuel Barroso during his visit to Ukraine in April 2011. Aside from a predictable partisan statement from the EPP President who enjoys the same name recognition of my mother in Ukraine, the two people with slightly better name recognition (but far less than Merkle or Sarkozy) have not really provided her with an ammunition to shoot at the current administration. Maybe that accounted for the following statement from Ms Tymoshenko. “A European-style Ukraine is more important than its government. I appreciate the fact that European leaders understand this and support cooperation with representatives of the opposition and civil society,” she said. Of course we do not know what was said privately, but private conversations do not influence Ukrainian public opinion. It seems her place in the scheme of things may well have been explained by those whose signatures will be adorning documents between the EU and Ukraine this year along side those of signatures Yanukovych and Azarov……..and not hers…….despite those foreign signatories for the EU residing under the same EPP umbrella she does. Did she get what she expected from the EPP Summit? – Aside from something from Duty Free and a few free (or at least subsidised by BYuT association fees to the EPP), lunches and dinners of course. Remember Mr Sisi being spirited away on the train to Kyiv and reappearing in an Israeli jail? Of course you do, I have mentioned it twice in the last 10 posts. Well it seems Mr Sisi , Ukraine and the Ukrainian secret services all believe there was no Ukrainian involvement in his kidnapping and rendition. Seemingly having insured that Ukraine was not involved, and it is a sad thing to have to check rather than know, and now the Prime Minister is back from his trip to Israel, Ukraine had eventually got around to summoning the Israeli Ambassador. The purpose of the demarche is for the Israeli Ambassador to explain to the Ukrainian Government how Mr Sisi ended up in an Israeli jail having got onto the Kharkov to Kyiv train. I think we can safely say the train did not take a wrong turn or that Mr Sisi went of his own free will, so it must be a very difficult thing to explain to a friendly State. That said, Israel have their man, Ukraine it would seem will be in a position to inform the UN of its non-involvement in the matter and also tell the UN it has told Israel it has been very naughty and a further similar occurrence will have diplomatic consequences beyond a demarche next time. Israel will politely listen to the indignation of the UN and subsequently ignore it, the sum total of which leaves Mr Sisi in an Israeli jail and Mrs Sisi and her Ukrainian children wondering if and when he will be released and if and when he will be allowed to return to Ukraine. Whilst we will probably never know exactly what is said between the Israeli Ambassador and the Government of Ukraine, we will no doubt get clues from any UN statements on the matter…..eventually. You are currently browsing the Odessablog's Blog blog archives for March, 2011.